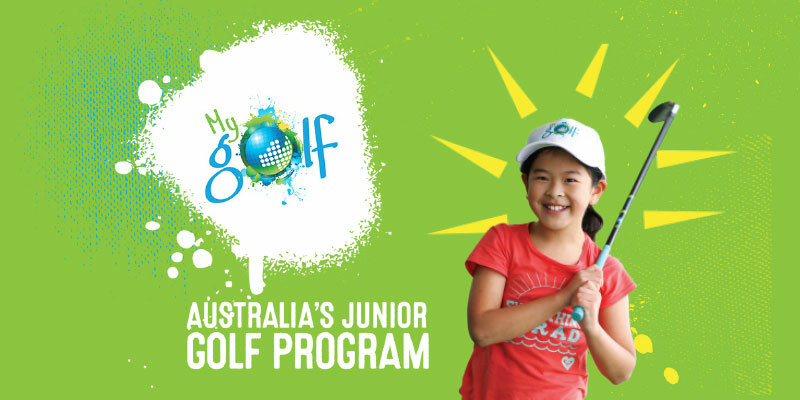 MyGolf is a national junior development program administered by Golf Australia and all state golf associations. Huon Valley Golf Club is now formally affiliated with this program, managed by Club Secretary Mike Dredge. The club has a responsibility to develop a junior program if it is to be viable and successful in the long-term future. We started off the program with one-day visits from two schools, Woodbridge and Huon Primary. The Huon Primary day involved 60 kids cycling through 3 stations (putting, chipping, driving) so was a full-on exercise. Fortunately Simon Weston, who is an accredited professional and a full-time Golf Tasmania staff member, was able to guide us through the day, which most of the participants thoroughly enjoyed. The next phase involves a 7 week Tuesday afternoon / evening coaching session for 10-12 year olds, which will run between October 23 and December 4. We will run this as an out-of-school-hours session, with local golfers conducting most of the coaching. All have Working with Vulnerable People accreditation, some have ‘Community Instructor’ status and one has decades of experience with junior sports coaching. The MyGolf involvement means that the Club now has a suite of new light-weight clubs and balls, and associated equipment, especially adapted for junior use. Thanks, MyGolf. Initial enrolment in the after-school program has been slow, but we will keep promoting it through the region’s schools and clubs. Anything you can do to help us attract young golfers will be appreciated.